Opening the workshop, Gen. NC Vij, Director, VIF, highlighted the genesis of the start of the terrorist activities and also underscored the need for robust cooperation between private and public entities in combating terrorism. The US Ambassador to India, Richard R. Verma emphasised the importance of shared values between India and the United States in fighting the perpetrators of terrorism. According to him, democratic societies of both the countries should take up steps to prevent religious extremism by involving influential religious clerics. Ambassador Verma emphasised that India can be a global leader in developing “new strategies to counter extremists who co-opt Islamic ideology for violent purposes”. The keynote address was delivered by MJ Akbar, MP, an internationally acknowledged political analyst. He questioned the approach of Western countries in fighting terrorism and pointed to the lack of clarity in the West about the “fourth world war”. Mr Akbar said that ISIL is the fourth Islamic State, the first three being Pakistan, the second being the Taliban and, third Boko Haram, and called for effective counter-narratives to combat the menace of ISIL style terrorism. The working sessions started with comprehensive analyses of different dynamics of recruitment into ISIL. Brian Fishman from New America Foundation touched on the roles played by internet and social media forums in promoting ISIL and recruiting foreign fighters from all over the world. Aaron Zelin from Washington Institute for Near East Policy gave a description of the systematic growth of ISIL and pointed out the different features of this outfit, including its social services, collection of taxes, destruction of artefacts, territorial control and understanding the terrain, treatment meted out to captured former officials and insurgents, assault tactics, different forms of punishment (beheading, stoning, etc.). Anthony Lemieux from Georgia State University talked about the brand management endeavours of ISIL, using media propaganda campaigns. The session was moderated by Brandon Behlendorf from START. The second session focussed on ISIL and its influence on India and South Asia. Sushant Sareen from VIF underlined the need for conceptual clarity about ISIL and other similar Jihadist organisations. Bibhu Routray from Mantraya gave an account of ISIL’s connection with India and explored the changing profiles of people joining the outfits, their success in using internet-based tools, role of ideologues in fanning their ideas. Rajeshwari Krishnamurthy from IPCS highlighted how the absence of good governance and inadequate communication between communities lead to preparing a fertile ground in which radicalisation can spread with relative ease. Nitin Gokhale from VIF spoke of the strengths of Indian social system in resisting the rise of the ISIS inside India. The session was moderated by Susan Sim from Soufan Group. As the global market for exports declines, we indicate some of the countries that will be most affected by the downturn. ISLAMABAD, Pakistan — Once again, horrific images of dead and injured students flashed across television screens in Pakistan. Once again, sobbing parents rushed into hospitals searching for their children. And once again, Pakistani youths are reminded that they are targets for Islamists seeking to topple a nuclear-armed government. On Wednesday, a little more than a year after Pakistani Taliban insurgentskilled about 150 students and teachers at a school in northwestern Pakistan, militants took new aim at students on track to make up the country’s future professional class. The attack at Bacha Khan University, which was claimed by a splinter group of the Pakistani Taliban, began shortly after 9 a.m. when four gunmen used the cover of Pakistan’s notorious winter fog to slip onto campus. The gunmen shot and killed 20 students and two teachers, some execution-style, and wounded nearly two dozen others. Several students said the toll could have been much higher were it not for a teacher armed with a pistol who briefly held off the attackers before being killed. The massacre in Charsadda, about 30 miles from where the December 2014 school attack occurred in Peshawar, is intensifying fears that Pakistan’s long-term strategy for combating Islamist militant groups is inadequate. Pakistan’s military says that in the past year it has largely driven groups such as the Taliban and al-Qaeda from the country’s northwestern tribal belt, which became a hub of domestic and international terrorist groups after the 9/11 attacks. But security officials and analysts have warned for months that Pakistan remains vulnerable to major attacks because government leaders have not mounted a widespread offensive against the roots of militancy, including conservative religious seminaries. The focus needs to be on enforcement. January 17, 2016Look at the sky in China, and it’s easy to think that the apocalypse is now. he country’s dismal air isn’t news to those who have to breathe it, or to the international community. 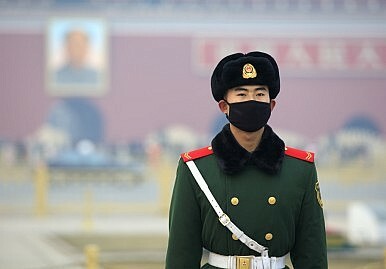 But recent reports about the “doomsday” smog in Shenyang were alarming. The northeastern city saw the harmful pollutant PM 2.5 at a level 40 times greater than what the World Health Organization considers safe. And last month, as representatives from all over the world concluded their climate summit in Paris, officials in Beijing issued China’s “red alerts” for smog. Schools were closed, and drivers were told to stay off the road every other day, depending on whether their license plate ended with an even or odd number. It might not be doomsday, but this underscores China’s struggle to provide its citizens with blue skies. Although it is not obvious from recent headlines, China’s central and local governments have done more to curb the nation’s air pollution over the past two years than casual observers may realize. The State Council mandated reduction goals for each of the three key air pollution prevention and control regions. It is further calling for a cap on China’s coal consumption. Each region has proposed its own action plan and taken an inventory of pollution sources. All regions have demonstrated the will to cut air pollution levels. These are encouraging steps. But China still faces problems in implementing and enforcing these proposals. A follow-up investigation of Shenyang’s “doomsday” air reveals two examples of this: Many small industrial boilers have not installed pollution control equipment, and large coal-fired power plants were not operating their pollution control units properly. Editor's Note: Official estimates and popular discourse portray China as an emerging colussus whose ever-expanding economy will make it the dominant power in Asia and a peer competitor to the United States. John Lee, of the Hudson Institute and Australian National University, paints a far darker picture -- at least for China. Lee identifies a range of grave economic problems that China faces and contends that its resulting future military power is likely to be far more limited than is usually estimated. At a recent closed-door presentation to a gathering of uniformed officers from the United States, Japan, and Australia, one Major General posed the question of whether the Chinese economic slowdown really mattered very much at all. He argued that even a serious slowing – say growth of four to five percent in 2016 and beyond – represented an enormous economic expansion for its US$10 trillion economy in absolute terms, offering Beijing a vast pool of resources with which to enhance its national power. As the officer concluded: when one is about to be run over by a Mack Truck, it becomes irrelevant whether the vehicle is travelling at 50 miles per hour or double that speed. The line of questioning is understandable. China is already the world’s second largest economy with a formidable military force and regional presence. The Chinese Communist Party (CCP) seems determined and able to increase defense spending bydouble-digit rates irrespective of national economic performance. As one American officer who cannot be named wistfully noted during the discussion, maybe that is the authoritarian advantage available to the Chinese. The country’s economic problems may well present domestic headaches for the CCP, but nothing changes for the United States and its East Asian security allies and partners. However, time is unlikely to be on China’s side, and current economic problems are only adding to serious problems for its leaders. There are those such as Professor Hugh White, a former senior defense official and lead author of Australia’s 2000 Defence White Paper, arguing that America should accept the likelihood, if not inevitability, of a “Chinese century,” at least in Asia. But significant constraints on Chinese power will soon become imminent, as a closer look at the mechanics of its economic growth, its political institutions and demographics, and internal competition within its security sector will reveal that the expected Chinese century is built on immensely shaky ground. Let’s begin with the drivers of China’s economic growth across the past decade. There are only three ways to grow an economy: add more ­labor, add more capital, or use these inputs more productively (also known as total factor productivity or TFP). As economist Paul Krugman presciently pointed out 20 years ago in his observations about the economic malaise experienced by the Japanese and Soviet economies, rapid growth based on expansion of ­inputs rather than on using these inputs more productively is inev­itably subject to diminishing returns and ultimately unsustainable. Chinese policymakers have conflicting sentiments regarding the planned military withdrawal of the United States and its allies from Afghanistan. PRC officials have expressed their commitment to collaborate with the international community to promote political stability, social progress and economic development in Afghanistan. They want Chinese firms to secure access to Afghanistan’s natural resources and build the economic infrastructure needed to bring them to China. At the international level, Chinese officials support having the Shanghai Cooperation Organization (SCO), the United Nations and other multinational organizations play some role in Afghanistan. But the Chinese government has declined to contribute combat forces or logistical assistance to the NATO-led International Security Assistance Force in Afghanistan (ISAF), and has refused to commit to support any NATO-led follow-on force. Beijing’s reluctance to side openly with NATO in Afghanistan reflects a fear of antagonizing the Taliban, which could retaliate against China’s growing economic interests in Afghanistan and perhaps again stir up trouble among China’s Muslim minority. Chinese commentators have shown scant interest in sending military forces to support or replace the current NATO mission or increasing their own economic aid levels to compensate for declining Western assistance. Yet while PRC policymakers naturally wish to maintain their low profile in Afghanistan, such an option is vanishing. They are now considering how to keep Beijing’s costs and commitments modest while preventing the emergence of a dangerous security and institutional vacuum. Excluding a complete Taliban defeat, China’s preferred outcome is a negotiated peace settlement among the Afghan government, the Taliban and the other Afghan combatants, supported by Afghanistan’s neighboring countries and the great powers. These international partners would agree to preserve Afghanistan’s neutrality from foreign military alliances and collectively contribute to the country’s political development and economic reconstruction. This scenario would establish a more favorable environment for PRC investment in Afghanistan, reduce some sources of regional terrorism and narcotics trafficking, and facilitate use of Afghanistan’s territory as part of the Afghan-Pakistan-Central Asian “Silk Road” connecting China’s trade and investment with the rest of Eurasia and Europe. *To download a copy of this free report, please click on the PDF link below. Just when Asia was getting accustomed to the Chinese threat to the oceans of Southeast Asia, there’s another water worry for Asians. The government in Beijing controls the health of six major South and Southeastern Asian rivers, the heart of life in the region. All of the rivers rise on the Tibetan plateau. The Chinese have been on an intensive program of dam-building on the upper reaches of the Brahmaputra, the Irrawaddy, the Meman Chao Phya and the Mekong, which would give them the ability to control these arteries of commerce, as well as irrigation of rice and other crops, for vast areas downstream. Snows are melting on thousands of glaciers, the largest concentration of ice north and south of the poles, repeating the ancient and constant cycle of change in the world’s weather. One Tibetan lake, Namtso, a holy site where pilgrims circumnavigate its banks in prayer, expanded by 20 square miles between 2000 and 2014. Tibet’s glaciers have shrunk by 15 percent over the past 30 years. Though subject to the whims of climate change, if melting continues at current levels the warmer temperatures could melt two-thirds of the plateau’s glaciers by 2050, and this would affect in unknown ways 2 billion people in China, India, Pakistan, Bangladesh, Bhutan, Burma, Thailand, Laos, Cambodia and Vietnam. The most dramatic example of prospective risk is China’s plan to divert the Brahmaputra from its upper reaches, where it flows a thousand miles through Tibet and another 600 miles through India, emptying into the harbor of Calcutta, the second-largest city of China. The Brahmaputra is the lifeline of northeast India, a troubled region with caste and other ethnic conflicts. There’s concern in Thailand, Laos, Vietnam and Cambodia over eight dams under construction on the upper reaches of the Mekong River. The Burmese military junta canceled a dam under construction in Myanmar, formerly called Burma, one of six Chinese-led hydroelectric projects planned for the upper reaches of the Irrawaddy. These plants would have exported electricity to southern China. As the country builds its first indigenous carrier, what might it have in mind? 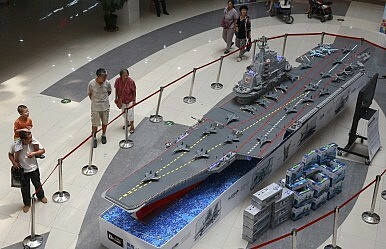 The international media landed itself a gift shortly before ushering in 2016, when it transpired at a recent Chinese Defense Ministry press conference that Beijing’s first indigenous aircraft carrier, and the second one for the People’s Liberation Army Navy (PLAN) after the Liaoning entered service since September 25, 2012, is currently under construction. The announcement is hardly a surprise, given that open-source intelligence, academic and media commentaries have long reported on China’s ongoing aircraft carrier program. Even Chinese reports (see here and here) have hinted at PLAN’s aspirations to operate more than one carrier. The carrier was even dubbed “Project 001A,” and Internet photos of what appears to be the assembly of modules for an aircraft carrier-like platform at a Dalian shipyard have circulated. Chinese officials, including those from the PLA, have also noted the existence of the program. Compared to the past, Beijing has certainly become more forthright about its defense programs, such as publishing defense white papers since 1998 and holding regular defense ministry press conferences. Of course, one could still claim that these efforts lack real transparency – the white papers, for instance, are rich in policy rhetoric but lack details. Nonetheless, the disparate nuggets of information, whether deliberately intended by Chinese authorities for release into the public domain or otherwise, allow the analyst to formulate a picture, even if an incomplete one. While imperfect, this picture at a minimum allows a glimpse at what exactly may be in store for China’s new aircraft carrier. In a way, the information helped in desensitizing the academic and intelligence communities to the prospective materialization of China’s carrier ambitions, in the context of external suspicions towards Beijing’s massive military buildup. This was very similar to the earlier case of the unfinished ex-Soviet carrierVaryag, which Beijing purchased from Ukraine in the 1990s and subsequently refurbished and refitted prior to adding it to the PLAN as Liaoning in 2012. Since the 1990s, the international community was aware of the existence of this program thanks to the availability of fragmentary information, even though it took quite some time for Beijing to officially announce plans to put Liaoning into service. As such, the Liaoning did not really come as a surprise, even if one continues to question Beijing’s underlying strategic intent behind this move. Based on Beijing’s pattern of information disclosure, one may anticipate that in the future, the public will at least have prior snippets of information related to the PLAN’s new, follow-on carriers before official announcements are made. But as Beijing’s recent clampdown (see here and here) on the leakage of militarily sensitive information has shown, there is every attempt to safeguard operational security. At the same time, though, Beijing may also rely on the release of disparate information, through proxy channels perhaps, to help desensitize the international community to its new future carriers. While this certainly falls short of “complete” transparency, it is better than having no information at all. Based on this diverse, if disparate information, there has been considerable speculation about the new aircraft carrier based. Much of it has overestimated the progress China has made with its carrier program. This is similar to the errors Western intelligence made with the performance of the much-acclaimed Soviet MiG-25 Foxbat interceptor, which was found to be grossly overrated following the defection of pilot Viktor Belenko with one of the jets to Japan in 1976. How Deep are the Cracks in the Russian-Iranian Coalition in Syria? According to Zvi Magen, Udi Dekel, and Sarah Fainberg, over the last four months military-political antagonisms and conflicts of interest have arisen between those who support the Assad regime in Syria (Russia, Iran, the Syrian Army, Hezbollah, and Shiite militias). Here’s what has gone wrong. This report was originally published by the Insitute for National Security Studies (INSS) on 3 January 2016. Recent developments in the international arena and on the battlefield in Syria invite some perspective on the stability of the Russian-Iranian coalition formed in September 2015. It appears that after three months of military effort, Russia’s involvement in Syria has not produced the results Moscow anticipated. Russia made a strategic decision to intervene militarily in the civil war in Syria in order to defend the regime of Bashar al-Assad. This decision was based on Russia’s interests in the Middle East and elsewhere, headed by the desire to expand Russia’s regional influence, preserve a naval foothold on the Mediterranean shore, and to challenge the overriding standing of the United States in the Middle East. A “natural” coalition of Assad’s allies formed in Syria, comprising Russia, Iran, the Syrian army, Hezbollah, and Shiite militias operating as Iranian proxies. Despite the Russian statements that its military involvement in Syria was aimed primarily at combating the Islamic State, most of Russia’s attacks were designed to help the al-Assad regime, with airstrikes targeting rebel organizations and air support for Assad’s allies fighting on the ground. It now appears that after months of air-land military effort by the Russian-Iranian coalition, the integrated attack, which focused on gaining control of essential territory in northern Syria (the Aleppo area, the Aleppo-Homs artery, and the passages to the coastal sector) has been halted. As a result, friction and conflicts of interest have surfaced between the pro-Assad coalition members, and political disputes have added to the military difficulties. Russian President Vladimir Putin has attempted to exploit the military intervention to forge an international framework to devise a political roadmap for ending the civil war in Syria. The diplomatic measures, however, have also bogged down. Moreover, the agreement between the major powers, specifically between Russia and the United States, to launch a political process that will shape a future settlement in Syria including the regime’s future was not regarded favorably by Iran. Russia-Iran: Between the Strategic Connection and Political and Military Disputes Despite a history of strategic rivalry, Russia and Iran have found common ground since the founding of the Islamic Republic. Russia has aided Iran in various spheres, including the military and nuclear realms. This multi-faceted cooperation has continued, notwithstanding the Russian participation in recent years in the sanctions regime against Iran and its active role in the negotiations on the nuclear question. Russia profited from this policy – wielding international political influence on the one hand, and exploiting economic opportunities with Iran on the other. The need to bolster the tottering Assad regime in Syria highlighted the confluence of Iranian and Russian interests. This aid likewise became an essential tool in promoting Russia’s strategic goals – both combating radical (Salafi jihadist) Islam, which threatens Russia, and shaping a regional settlement to Russia’s liking. Nonetheless, the common ground did not obliterate the disputes between the two countries. The question of Assad’s personal future – Russia is flexible on this point while promoting a negotiated settlement with the international community on a political transition in Syria – is only one such bone of contention. Indeed, each side takes a different view of its main goals in Syria. The main purpose of Iran’s intervention in the fighting in Syria is to design a future settlement that advances its needs. Specifically, a strengthened Shiite Iran-Iraq-Syria- Hezbollah axis requires the preservation of the Alawite regime and the guarantee of its pro-Iranian orientation. This is the key element in Iran’s current regional strategy, which aims at regional hegemony by forming a sphere of influence under its leadership while thwarting other actors – be they regional (mainly Saudi Arabia and Turkey) or international (the West) – that strive to promote a different settlement. Jan. 19: Opec was on the verge of claiming victory over its North American rivals last night after its strategy of squeezing out the shale industry by flooding the markets with oil appeared to be vindicated. The oil producers' cartel said that falling prices would force lower production from its rivals by the end of this year, with American and Canadian producers particularly affected. Opec, led by Saudi Arabia, has maintained production levels even as crude prices have collapsed 70 per cent from their level in 2014. In its first monthly report of the year, Opec said that its policy was starting to have an effect and it highlighted the North Sea as a "particularly vulnerable" basin. Analysts said that Saudi Arabia and its allies in the Opec bloc were taking aim at American frackers, who in a few years had transformed the US into the world's biggest oil and gas producer. The lifting of sanctions against Iran also has strengthened Saudi Arabia's resolve as it is unwilling to leave a gap in the market for Tehran to fill. "The analysis indicates that 2016 will be a supply-driven market. It will also be the year when the rebalancing process starts," Opec said in its report. "After seven straight years of phenomenal non-Opec supply growth... 2016 is set to see output decline as the effects of deep [capital expenditure] cuts start to feed through." The decline will be cushioned by new projects commissioned when oil was selling for more than $100 a barrel, but the level of investment that was abandoned or deferred when oil prices began sliding in 2014 will translate to a decline in production of 660,000 barrels of oil a day - the equivalent of two thirds of Britain's production. That figure is 69 per cent greater than Opec's previous production estimate. Most of the new production cuts have come from the US. A study by Wood Mackenzie calculated that 68 "megaprojects", representing an investment of $380 billion, had been deferred or abandoned. By 2025 that will equate to 2.9 million barrels of oil a day - 3 per cent of present energy demand. Producers of US shale oil proved far more resilient than Opec expected. The number of oil-rigs operating onshore in the US has fallen by about two thirds from its peak in 2014, but production remained relatively stable because they were becoming more efficient. However, production from wells in shale formations typically drop off by up to two thirds in their second year. With new investment in the US shale oil industry having fallen sharply, there are unlikely to be enough new wells being drilled to compensate for the drop-off of existing reservoirs. Set against that is the looming increase in production from within Opec. Russian Deputy Finance Minister Sergei Storchak said on Jan. 18 that Russia is considering not making any more loans to foreign governments during the current economic crisis, according to Russia's Interfax news agency. Storchak said, "The budget is strained, more than strained. I think we are in a situation where we are forced to take a break from issuing new loans." It is not quite clear how this will affect loans that the Russian government has promised but not yet closed. In particular, Russia has committed to a $5 billion loan to Iran, which is in the process of closing. Storchak said, "We have assumed large obligations. And not to respect obligations on the issued loans is even more shameful than not to fulfill our own obligations on the loans which we have taken." The reasons for this decision (I doubt that a deputy finance minister would have made an unauthorized statement on a subject so delicate) is of course oil prices. Russia is in the extraordinarily difficult position of having based its economic well-being on the price of a commodity it cannot control. At current prices, with some varieties of oil having fallen below $30 a barrel, the Russian national budget is "more than strained," as Storchak put it. Loans to foreign governments are simply one of the many things that will have to be cut. Storchak is aware of one vital fact: There is no reason to believe that the collapse in oil prices is temporary. Demand for oil has declined substantially, given ongoing weakness in Europe and some hints of weakness in the United States. That has meant that exporters, particularly China, have limited export capability and decreased need for oil. This situation is going to exist for several years. At the same time, the combination of new technologies and high oil prices brought new producers into the market and created an oil glut. The China bubble maintained high oil prices for a while, but there is nothing to sustain them after that has burst. So Russia is looking at a near existential crisis. It lives on oil revenues and used to brag that it could manage on $70 a barrel oil when prices were well above that. Now prices are less than half of what the Russians need to fund their budget, as well as drive the rest of their economy. Storchak's statement wasn't really about foreign loans, although they are certainly at issue. It was actually an official warning, by a deputy minister so as to downplay it a bit, that the Russian economy is facing disaster. These loans are not all that expensive, and they build Russian influence. By announcing that Russia would stop offering them, the Russian government is telegraphing to its public and the world that its situation is as bad as the pessimists have said. This was the vehicle for making clear that Russia may not be near a breaking point, but is moving toward one. Still, the decision to cut these loans should be considered in its own right. In suspending these loans, the Russians are cutting one of their major foreign policy tools. During the halcyon days when oil prices were more than $100 a barrel, the Russians used loans to shape the behavior of foreign governments. This was particularly true along Russia's periphery, Europe to Central Asia. Such loans did not obligate foreign governments to follow Russia's lead, but it certainly didn't hurt to know that the Russians could solve foreign governments' financial problems. ASTANA – The Kazakhstan Institute for Strategic Studies under the President of Kazakhstan (KazISS) presented Jan. 14 an overview of the ten most important events in 2016 which are crucial for political and economic development, stability and security in Central Asia. Experts noted countries of the region will celebrate their 25th anniversary of independence this year and will be summing up the results of its development. In 1991, with the sudden collapse of the Soviet Union, Kazakhstan, Kyrgyzstan, Tajikistan, Turkmenistan, and Uzbekistan became independent, developing at contrasting rates and in different directions with diverse political and economic regimes. Based on the experience of various analytical think tanks, KazISS offered its overview of the most important developments in Central Asia in 2016. Here’s that list as presented on KazISS website. In 2016, the global economic backdrop will likely be negative. The growth of most economic centres will weaken and slow down. The effects of adverse factors will be manifested, and will include, among others, the monetary policy of the U.S. Federal Reserve, slowdown in China, continued pressure on the economies of the European Union (EU) and Russia because of the mutual sanctions, decline in the commodity markets causing problems in the commodity economy, and the non-economic factors (military conflicts, migration problems and environmental and climate change). Commodity markets will remain under pressure in the first half of the year. The tightening of the monetary policy of the Fed, excess of supply over demand, OPEC’s price pressure on unconventional oil production, prospects of the output of American oil to the world market and possibility of increasing Iranian exports will negatively impact the oil market. Low prices in world commodity markets continue to have unfavourable consequences on Central Asian economies, whose growth will be limited and will remain at relatively low levels. JERUSALEM — Prime Minister Benjamin Netanyahu of Israel warned on Sunday that his nation would ensure that Tehran never obtains nuclear weapons, while also taking credit for keeping Iran from already having them. He also said that the recent accord would strengthen and embolden Iran’s leaders, since the lifting of most sanctions would free up money for Tehran to arm and support the government of President Bashar al-Assad in Syria, Shiite militias and Israel’s enemies in the region, including Hezbollah, Hamas and Islamic Jihad. “What is clear is that Iran will now have more resources to dedicate to their terrorism and aggression in the region and in the world, and Israel is prepared to deal with any threat,” he said. 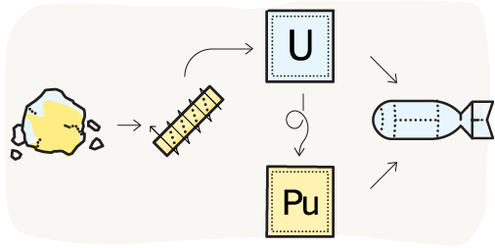 A guide to help you navigate the talks between global powers and Tehran. He said on Sunday that Israel would strengthen its defenses, increase its intelligence resources and “warn of any violation” of the agreement, while urging the United States and the other members of the United Nations Security Council to reimpose harsh sanctions on Iran if it violated the deal. Download PDF file of abridged version of "Asia-Pacific Rebalance 2025"
Even with Russia’s recent intervention and bombing campaign in Syria and its annexation of Crimea in eastern Ukraine in the spring of 2014, the country’s largest external military presence, at least officially, is still in Tajikistan. Russia has 5,900 troops stationed there and aims to raise that number to 9,000 by 2020. Next door, at its air base in Kant, Kyrgyzstan, Russia is renewing its fleet of fighter jets and attack helicopters. Russia claims that its buildup in Tajikistan and Kyrgyzstan comes out of concern for the growth of Islamist terrorism along Central Asia’s southern border with Afghanistan. But there is more to it than that. The moves are part of Russia’s goal to assert its influence over the entire region. In line with that effort was the proposal, a month after the Taliban seized Kunduz in September 2015, to create a shared Commonwealth of Independent States border force to respond to such threats along the Central Asian border with Afghanistan. At the same time Russia has been expanding its security borders, it has been closing its physical ones, mostly to migrants from the very countries in which it has built a military presence. Since January 2015, Russia has introduced more stringent visa regulations for migrants, including admission tests and higher fees. Immigration authorities have deported thousands of migrants and added hundreds of thousands of names to the country’s reentry ban list, which prevents those named from returning for three, five, or ten years for infractions such as overstaying a visa. Is splitting up the way forward for the Indian IT industry? Some 10 years ago, Wipro Chairman Azim Premji suggested in an interview that running a software services company with employee numbers exceeding 2,00,000 would be a challenge. A professor at Wharton had asked him if it would be tough scaling up people beyond 1,50,000, since there would be natural limits to growth in the services business. I don’t see growing to 150,000 to 200,000 people as an insurmountable challenge….That is doable. After 200,000 people, you might have to think laterally about how to grow beyond that point. You have to think about partnership models — how do you manage partners and still have transparency with your customers? Well, he is more or less there; as at the end of December, Wipro had a headcount of 1,70,664, while its bigger peers, had already reached the threshold. Tata Consultancy Services (TCS) was well past that point, with 3,44,691, Cognizant with 2,19,300 ad Infosys with 1,93,383. Is unmanageable headcount one of the major reasons for the sector’s sluggish performance in recent years? The fact is the sector has gone through several quarters of disappointing results, though not all the companies have done badly simultaneously. TCS seemed to be coasting along for five years while Infosys was struggling till about early 2015. Now, Infosys is doing better and TCS is lagging. Last week, India’s two biggest IT services companies, reported their third quarter results (September-December 2015). While TCS reported a small drop in dollar income (-0.3 percent from previous quarter), Infosys reported a small rise (+0.6 percent). But Infosys shares went up after the results because the company announced that revenues for the whole year will be better than expected; its full-year revenue growth guidance was raised from 10-12 percent to 12.8-13.2 percent. Each year, the World Economic Forum produces its Global Competitiveness Report, a comprehensive assessment of economic competitiveness across the globe. Each country’s relative economic strength is determined by analyzing twelve pillars–including capacity to innovate, infrastructure, and health factors–that produce 114 unique indicators. Those indicators make up the Global Competitiveness Index, a global ranking that looks to shed light on the drivers contributing to national productivity and prosperity. The interactive map above explores this year’s Competitiveness Index by highlighting country-level rankings for select indicators and comparing the most globally and regionally competitive countries. The data presented has long served as an important tool for economic policymakers, and will contribute to the discussions taking place at the World Economic Forum Annual Meeting in Davos this week. Click here to download the Competitiveness Index. This article was produced on behalf of Bank of America by the Quartz marketing team and not by the Quartz editorial staff. Two years after advisers urged the District of Columbia to take key actions to better manage potentially life-threatening cyber risks in the nation's capital, officials have not yet implemented the recommendations – leaving the seat of federal power lagging behind states nationwide and facing questions from the council overseeing D.C. agencies. The lack of headway not only illuminates issues unique to the nation's capital, but also provides a textbook example of the leadership, governance and resourcing hurdles confronting public and private-sector organizations as they strive to address cybersecurity as an enterprise-wide risk issue. The report concluded that the District's lack of a senior-executive level chief information security officer (CISO) – a position long considered key for cybersecurity in both government and industry – hampered the District's ability to establish and maintain a District-wide strategy and program to protect information-management assets. It also found that greater coordination was needed among D.C. agencies and with industry and that more investments in cyber workforce education and training would be helpful. It implored the District's leadership to issue a directive to strengthen cyber-risk management. The directive, the panel wrote, should 1) establish a CISO position; 2) create a governance structure for addressing cyber risks and working with the federal government and industry; 3) enumerate D.C. agencies' cybersecurity roles and responsibilities; 4) establish a process for resolving any disputes among agencies about their responsibilities; and 5) create a task force to complete a District-wide cybersecurity risk assessment. The commission also urged the District to hire a full-time CISO to serve the entire city without affiliation to any one D.C. agency; to develop a contingency plan for a cyber attack capable of causing a catastrophic loss of electrical power to the District for a week or longer; and to complete cyber risk assessments. Two years later, however, the District has neither issued a cybersecurity directive establishing a District-wide CISO position, nor hired a CISO, Michael Rupert, a spokesman for the Office of the Chief Technology Officer, told Inside Cybersecurity last week. Further, it remains unclear whether the District will develop a cyber-attack contingency plan as recommended by the commission. A common concern affecting management of cyberspace operators is the general lack of institutional understanding regarding cyberspace as a warfighting domain. The central idea of Unified Land Operations is that Army units seize, retain, and exploit the initiative to gain and maintain a position of relative advantage in sustained land operations to create conditions for favorable conflict resolution. [i]Cyber is an intrinsic part of that idea as it now adds a domain we have historically not fought in, but one that increasingly is necessary to success on the ground, air, sea and space. Modern conflict is now an endless, ever evolving battle between many actors waged to a significant degree in the cyber domain. General Mark Milley[ii], in the 2015 AUSA Green Book article[iii] noted “The technologies that have historically enabled our overmatch are becoming increasingly available to our adversaries.” In a similar way, our adversaries increasingly have the technological means to thwart or interfere with those capabilities. Examples of this are: use of drones for reconnaissance and effects delivery, encryption of communications, recruiting and influence via social media, and miniaturized and less-detectable trigger devices. Various technological advances are about to make hundred-drone swarms a reality, and a nightmare for today’s top-of-the-line weapons. Even as the world is experiencing a proliferation of smart, small, and inexpensive products in a widening range of fields, the Department of Defense continues to pursue a buying strategy of fewer but more exquisite systems. Our budget debate needs to shift. Rather than simply arguing about more money for legacy systems, we need to think through how we will gradually phase them out over the next decades while using the savings to shift to a new approach to war. Today, the vast majority of U.S.procurement spending goes toward very mature weapons: F-35s, LRS-Bs, aircraft carriers, and systems that support them. These technologies came to the fore in the 1930s and ‘40s. Unfortunately, even massive investment in mature technologies brings only minor increases in capability. One oft-expressed rule of thumb is that the last 5 percent of capability adds 50 percent to the cost of a weapon. This is of particular concern because of the rapid advances in robotics and artificial intelligence, additive manufacturing and nanoexplosives, composite materials and energy-reflecting coatings, and improved energy densities in gel fuels. Taken together, these technologies mean that long-range, autonomous, stealthy, precision weapons will soon be cheap and ubiquitous. These new systems will challenge the dominance of the last century’s weapons and change warfare dramatically at the operational and tactical levels. Already, commercial firms are creating drones that use a variety of sensors to autonomously execute tasks ranging from agricultural spraying to ocean surveillance to air freight. With minor modifications, these drones can become improvised explosive devices (IEDs) that actively hunt U.S. forces. Because the systems are commercial, they are available to almost anyone. Even small numbers of intelligent, mobile IEDs would be a major problem for U.S. forces — yet tech trends indicate we could face tens of thousands of such drones on the battlefield. The presence of numerous inexpensive, autonomous air and sea drones will soon be an inescapable part of the battlefield. We’re several years past the ability to 3D-print a drone in a single day; researchers are now refining prototype systems that can print 25 to 100 times faster than that. A single small facility with only 10 such printers will soon be able to produce 1,000 drones a day. These will be autonomous weapons that can attack with precision to destroy vehicles, parked aircraft, fuel, and ammunition stores. Nor are drones limited to the air. The U.S. Navy is investing inunderwater “gliding” drones that are projected to operate for five years without refueling. Current commercial versions sell for about $100,000 but costs are falling very rapidly. These underwater drones could be developed into self-deploying mines or torpedoes. In short, the presence of numerous inexpensive, autonomous air and sea drones will soon be an inescapable part of the battlefield. The two recent strikes attributed to the Islamic State of Iraq and Syria, (ISIS, also referred to as ISIL, IS, and Daesh) – downing a Russian passenger jet October 31 and the complex attack in Paris, November 13,, 2015 – provided the organization with significant media coverage and elevated status. Among the many battles that ISIS is waging one of their primary objectives is to soundly eclipse the legacy of al Qaeda as the most powerful and acclaimed terrorist organization in the world. ISIS broke away from al Qaeda in 2014 striving to become a powerful independent force instead of a second-tier affiliate. While the insatiable ego and ambition of ISIS leadership are drivers, there is much more at stake. ISIS wants to attract additional aligned and nonaligned terrorist and insurgent cells including some that are affiliated with al Qaeda. Adding affiliate insurgent groups in Asia, Africa, and other locations significantly increases the geographic coverage, influence, and prestige of ISIS. Some affiliates join ISIS for the enhanced power and fear-driven respect they’ll garner in their local operations including degenerate criminal gangs such as the Philippines’ Abu Sayyaf which switched to ISIS to increase the ransoms they can demand for kidnapping Westerners. Internal schisms and personality rifts within al Qaeda, Taliban and other groups will provide ISIS with additional affiliates and commanders. Some previously nonaligned groups will also be encouraged to join. ISIS wants increased funding, recruits, supporters and publicity. This is one of the reasons why ISIS has carried out so many sensational executions – countless beheadings along with burning, drowning, or blowing up victims. ISIS quickly became media whores by waging a perverse reality television style of terrorism on the Internet. They will do anything to heighten their profile and prestige among extremists and the unsavory masses that fund, participate in or support terrorism. ISIS has committed an incalculable number of crimes against Muslims, Christians and others. Generally, the more radical and outspoken jihadi leaders are the more their actions and directives go against the Qur’an and Hadith, sullying Islam. Most terrorists and insurgents use religion and nationalism as convenient covers that conceal their primary motives – power and greed. While the obvious motivation of state sponsors is to encourage terrorist and military operations against a specific enemy, such as the United States or Afghanistan, the second and third order effects have multilayered economic and political ramifications that augment or diminish the influence and capacity of secondary targets and objectives. For example, Pakistan’s ongoing support of radical Islamists in Afghanistan – from Gulbuddin Hekmatyar to the Taliban and Haqqani Network – are designed to strengthen their influence, while diminishing that of India. Pakistan’s obsession with India is the primary driver influencing their foreign policy, especially the activities carried out by Inter-Services Intelligence (ISI) and other intelligence and military sectors. In the past couple of party nomination debates, the subject of bombing ISIL has come up several times. It seems that the candidates are determined to outdo each other in tonnage dropped and destruction wrought. I am not aware of any systematic analysis of the effects of airpower on an insurgency (which in itself is a significant observation). My gut reaction is that air power is just part of the equation. The airplane was invented in 1903. They were first used in war in 1911 and starting in 1915, the airplane went through an incredible development as a weapon of war. World War I (1914-1918) established the airplane as a weapon in war and World War II (1939-1945) showed just how much death and destruction it could produce. The airplane was first extensively used by the United States as a counterinsurgent tool in Nicaragua in 1927-1933. Using de Havilland DH-4 biplanes, they provided reconnaissance against the insurgency led by Augusto Sandino and provided air support for the U.S. Marines. Augusto Sandino actually declared war against the United States in June 1927, an early case of an individual or head of a revolutionary movement declaring war on a country. Sandino served as the inspiration for the Sandinistas of the 1970s and 1980s, a Nicaraguan insurgency movement that is still a major political party in Nicaragua. At the Battle of Ocotal on 16 July 1927, the Sandinistas suffered over 150 people killed and wounded. This fight included five DH-4s armed with machineguns and four 25-pound bombs conducting dive bombing attacks in support of ground troops. As a result of this slaughter from the air and ground, the Sandinistas never did massed attacks again. Since that time, there have certainly been well over 100 insurgencies that involved air power (we [Dupuy Institute] have not put together a master list). I am struggling to think of a single insurgency that was defeated by airpower, primarily defeated by airpower, or even seriously undermined by airpower. Two cases do come to mind. First is Vietnam, which has the distinction of being the perhaps the bloodiest guerilla war ever. It also has the distinction of being the counterinsurgency effort that used the most airpower and dropped the most bombs. Certainly airpower played a major part in the war, with the helicopter almost becoming the symbol for the war (like in the opening scene of the movie Apocalypse Now). Clearly airpower played a big part in halting the 1972 offensive by the North Vietnamese Army (NVA) and the Viet Cong (VC). Still, we all know the final results of the Vietnam War. It is certainly not a case of an insurgency being defeated by airpower. The second case was the initial U.S. intervention in Afghanistan in 2001, where we provided airpower to an insurgency. I would have to think long and hard to find another case of an insurgency having any significant air power. In this case, we started bombing government targets in Afghanistan on 7 October 2001. This process continued for almost four weeks, resulting in the quote from Secretary of Defense Donald Rumsfeld on 9 October 2001 “We’re not running out of targets, Afghanistan is!” We then switched our air support in early November to providing more direct support for the tens of thousands of allied insurgent forces in the north, with the Afghani Army collapsing quickly. On 14 November, the “Northern Alliance” marched into Kabul and by the middle of December they had effective control of the entire country. Although the Taliban dominated government had folded and the Taliban was on the run, they have since returned to carry on an insurgency in Afghanistan. Again, this is certainly not a case of an insurgency being defeated by airpower, as the airpower actually supported the insurgency. It also shows the limitation of a pure air campaign vice one in support of ground troops.